In 2016, black women with HIV infection attributed to heterosexual contact accounted for 47% of all women living with diagnosed HIV, and 41% of deaths that occurred among women with diagnosed HIV in the USA that year. Social determinants of health have been found to be associated with mortality risk among people with HIV. We analyzed the role social determinants of health may have on risk of mortality among black women with HIV attributed to heterosexual contact. Data from the Center for Disease Control and Prevention’s National HIV Surveillance System were merged at the county level with three social determinants of health (SDH) variables from the U.S. Census Bureau’s American Community Survey for black women aged ≥ 18 years with HIV infection attributed to heterosexual contact that had been diagnosed by 2011. SDH variables were categorized into four empirically derived quartiles, with the highest quartile in each category serving as the reference variable. 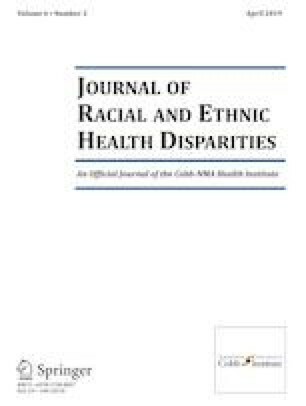 For black women whose deaths occurred during 2012–2016, mortality rate ratios (MRR) were calculated using age-stratified multivariate logistic regressions to evaluate associations between SDH variables and all-cause mortality risk. Risk of mortality was lower for black women aged 18–34 years and 35–54 years who lived in counties with the lowest quartile of poverty (adjusted mortality rate ratio aMRR = 0.56, 95% confidence interval CI [0.39–0.83], and aMRR = 0.67, 95% CI [0.58–0.78], respectively) compared to those who lived in counties with the highest quartile of poverty (reference group). Compared to black women who lived in counties with the highest quartile of health insurance coverage (reference group), the mortality risk was lower for black women aged 18–34 years and black women aged 35–54 who lived in counties with the lowest 2 quartiles of health insurance coverage. Unemployment status was not associated with mortality risk. This ecological analysis found poverty and lack of health insurance to be predictors of mortality, suggesting a need for increased prevention, care, and policy efforts targeting black women with HIV who live in environments characterized by increased poverty and lack of health insurance. No animal or human studies were carried out by the authors for this article. The findings and conclusions in this paper are those of the authors and do not necessarily represent the views of the Centers for Disease Control and Prevention. Centers for Disease Control and Prevention. HIV Surveillance Report, vol. 29. 2017. http://www.cdc.gov/hiv/library/reports/surveillance/. Published November 2018. Accessed 8 Jan 2019. Centers for Disease Control and Prevention (CDC). NCHHSTP AtlasPlus. Available at: https://www.cdc.gov/nchhstp/atlas/. Accessed 8 Jan 2019. Centers for Disease Control and Prevention. Monitoring selected national HIV prevention and care objectives by using HIV surveillance data—United States and 6 dependent areas, 2016. HIV Surveillance Supplemental Report 2018;23 (No. 4). http://wwwcdcgov/hiv/library/reports/hiv-surveillancehtml Published July 2017. Accessed 8 Jan 2019. Centers for Disease Control and Prevention. Social determinants of health among adults with diagnosed HIV infection, 2016. Part B: county-level social determinants of health and selected care outcomes among adults with diagnosed HIV infection—39 states and the District of Columbia. HIV Surv Suppl Rep. 2018;23(No. 6, pt B). http://www.cdc.gov/hiv/library/reports/hiv-surveillance.html. Published October 2018. Accessed 8 Jan 2019. World Health Organization, Commission on Social Determinants of Health. Closing the gap in a generation: health equity through action on the social determinants of health. Available from: http://www.who.int/social_determinants/en. Accessed 8 Jan 2019. Centers for Disease Control and Prevention. Social determinants of health among adults with diagnosed HIV infection, 2016. Part A: Census tract-level social determinants of health among adults with diagnosed HIV infection—13 states, the District of Columbia, and Puerto Rico. HIV Surv Suppl Rep. 2018;23(No. 6, pt A). http://www.cdc.gov/hiv/library/reports/hiv-surveillance.html. Published October 2018. Accessed 8 Jan 2019. U.S. Census Bureau. American community survey multiyear accuracy of the data (5-year 2012-2016). https://www.census.gov/programs-surveys/acs/technical-documentation/code-lists.2016.html. Accessed 8 Feb 2019. Centers for Disease Control and Prevention. DHAP Strategic Plan. http://www.cdc.gov/hiv/dhap/strategicplan/. Updated July 2017. Accessed 4 Aug 2017.